Every year during our graduation ceremonies, awards are given to outstanding students. The first two mentioned below even carry a monetary value of $1,000! President’s Award: Given to one High Distinction student from each school (except medicine) who demonstrated strong leadership traits. Charbel Khairallah Endowed Award of Excellence in Engineering: Offered to a top engineering student in Byblos, in memory of the late engineering student Charbel Khairallah. Rhoda Orme Award: Presented to one female student per campus who shows dedication and service to others. 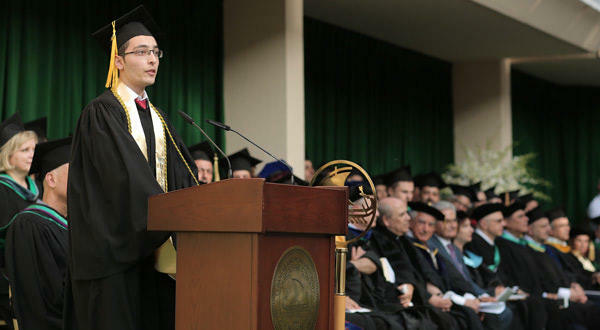 Riyad Nassar Leadership Award: Given to one student from each campus based on good academic standard and exemplary leadership skills, and who spent at least one academic year at LAU. Torch Award: Given per campus by each school to a graduating student who shows high leadership and service spirit.